The CEO of Seagate has confirmed plans to release new nearline harddrives with 12 TB capacity in the coming months, and HDDs with 16 TB capacity over the course of the next several quarters. The latter are believed to be based on HAMR technology and the comment by the CEO essentially means that the company is on track with its next generation of heat assisted magnetic recording technology. Seagate’s CFO confirmed plans to release nearline HDDs with 12 TB capacity in early November, 2016. 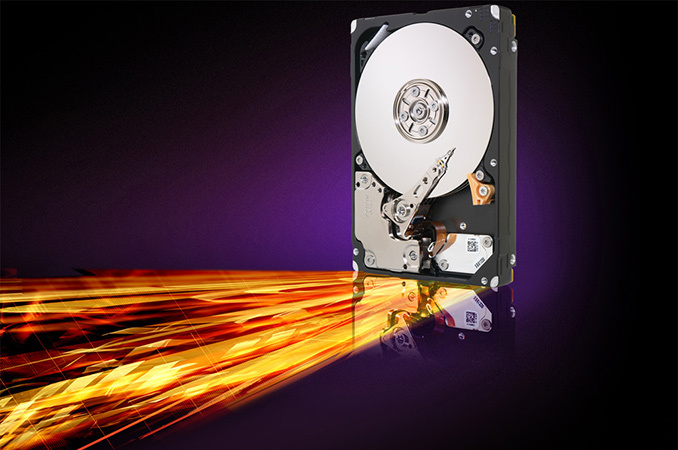 Last week Steve Luczo, CEO of Seagate, said that such drives had been evaluated by the company’s customers for about two quarters now and the feedback about the drives had been positive. He did not elaborate on the exact launch timeframe for the product, but given the fact that the drive is nearly ready, it is logical to assume that the 12 TB HDD should be announced formally in the coming weeks or months. The hard drive maker has not revealed many details about its 12 TB Nearline HDD so far, but previously Seagate disclosed that this drive is filled with helium and is based on PMR technology, whereas last week the company implied that it uses eight platters. 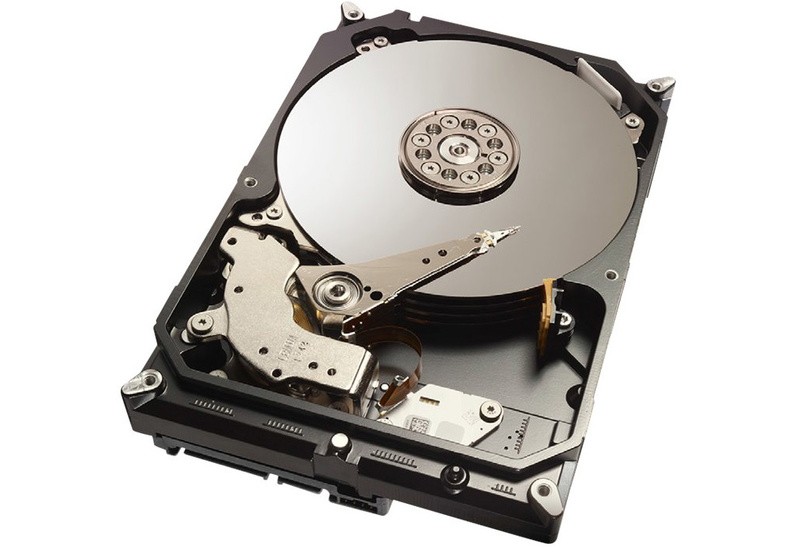 Keeping in mind that Showa Denko recently launched 1.5 TB platters for 3.5” drives, it is likely that Seagate uses eight of such platters for its 12 TB HDDs. In fact, Western Digital’s HGST Ultrastar He12 HDD with 12 TB capacity introduced last December comes with eight PMR disks as well. “As you know, going from 8 to 10 to 12 to 16 [TB], you are going from six to eight disks, at least, on the nearline products,” said Steve Luczo, CEO of Seagate, during a conference call with investors and financial analysts. The 12 GB drive will be Seagate’s top-of-the-range model for enterprise and other demanding applications for quite a while and will become the company’s highest-capacity PMR-based drive. But, for the second time last week, the company mentioned 16 TB HDDs due in the next 12 to 18 months. Moreover, since such drives will be based on HAMR technology (Seagate discussed the feasibility of HAMR-based HDDs at 16 TB last year), they will cause a certain level of disruption on the market. “During the next 12 to 18 months, we expect the nearline market to be diversified in capacity points for different application workloads, with use cases from 2 to 4 TB products for certain applications up to 16 TB for other use cases,” said Mr. Luczo. 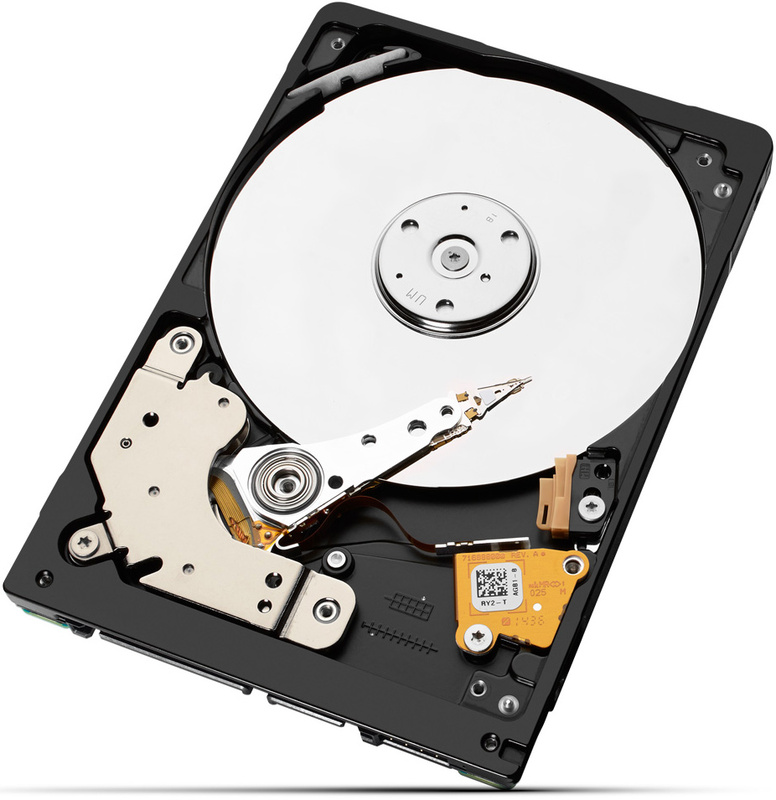 Hard drives featuring heat-assisted magnetic recording technology will cost more to build compared to traditional HDDs because of the increased number of components and use of new materials. As a result, such drives will also be more expensive to actual customers. At present, we do not know specifics, but what Seagate says is that in the future the market of nearline HDDs will get more diverse and its lineup will get wider. In the past, the product stack used to remained similar, and as larger drives were introduced every year, previous-gen products were moved down the stack and low-capacity models discontinued. This may not be the case in the future and customers who need maximum capacity (i.e., who would like to store 3840 TB of data per rack and require 16 TB drives) in 2018 will probably have to pay more than they pay for leading edge HDDs today. 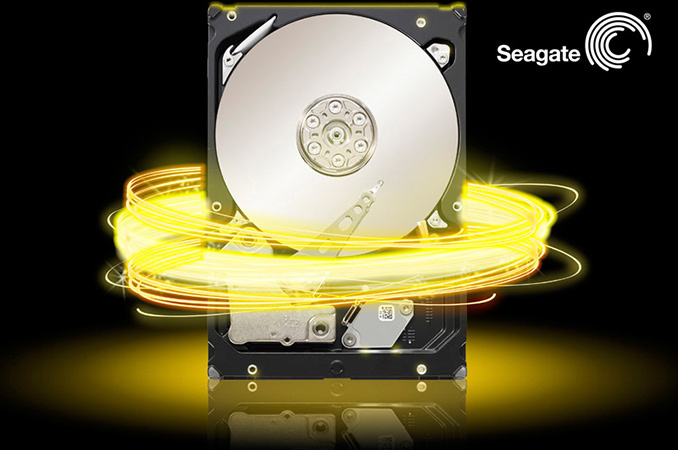 It is noteworthy that Seagate also mentioned 14 TB and 20 TB HDDs in the conference call, but without specifics, it does not sound like a good business to make assumptions about them. So far, the company has not explicitly announced any plans to release SMR-based 14 TB HDDs for specific workloads to compete against Western Digital’s Ultrastar He14. Moving on with the comments made by the head of Seagate, we noticed that Mr. Luczo also mentioned higher-capacity HDDs for consumer applications. In particular, when talking about increasing amount of disks and heads per drive, CEO of Seagate indicated that the numbers are also increasing for consumer HDDs as well. “We do think there [are] opportunities for more heads and disks on desktop and notebook, as people need higher capacity as well,” said Steve Luczo. Keeping in mind that Seagate currently offers BarraCuda Pro desktop HDDs with 6 TB, 8 TB and 10 TB drives for consumers, and these drives use enterprise-class platforms (albeit with multiple changes). The remark by the CEO is an indication that the company will keep doing so in the future. Meanwhile it is interesting to note that the head of Seagate also mentioned mobile drives with increased number of platters and heads, hinting on increasing demand for higher-end 2.5” HDDs with more than one platter. At present, Seagate offers 5TB drives in a 2.5-inch form factor, although these come in at 15mm and typically tend not to fit in most mobile environments. 24 years ago I had a computer with a 120MB HDD, which I thought was huge: Nearly 300x 360k 5.25 floppies of storage, or more than 80 of the expensive 3.5" 1.44mb sort! Then I got a CD drive. Today I have a a TB of flash in my gaming PC and a pair of 6TB HDDs in my NAS. My situation is pretty similar to yours. The first PC that I bothered to tinker with much was a 386sx at 16MHz. It shipped with a 40MB drive and I added a 60MB hard disk when it became available. I recall being extremely impressed with myself over the idea of having 100MB of total storage space. I've got ~3TB on my NAS (2x 6TB in RAID0 equivalency). Mostly backups of my active systems and snapshots of retired HDDs/computers. Based on historical trends I expect I'll be near capacity again in 3 years when I need to replace it anyway. You didn't say exactly which model you bought; but the Camel Camel Camel price charts for several 3TB drives from around that era all show substantial price drops over the last few years. My first thought is to suspect you found a crazy sale that wasn't captured; and those sort of sales are rarely repeated afterwards, especially for old stuff.